50' Custom built Cat, Launched new in 2013, Build is composite/ Fibreglass, with a finish most builders would envy. 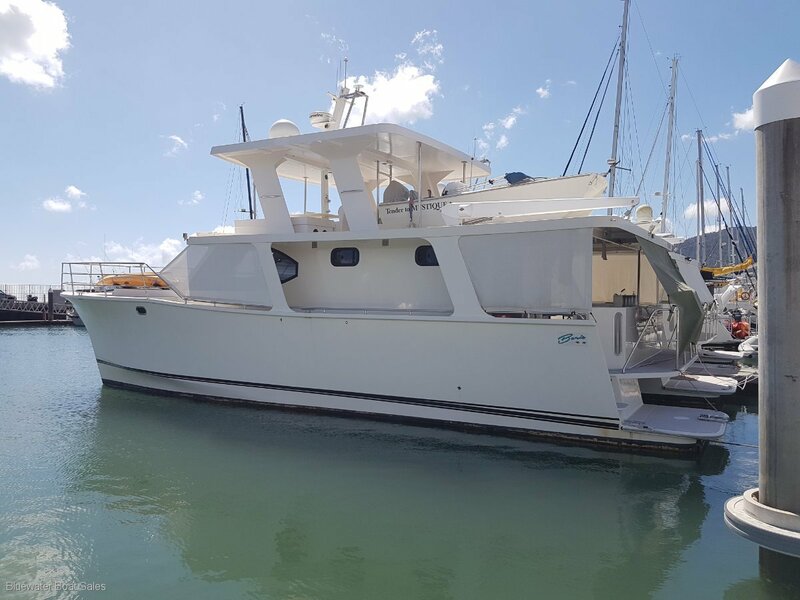 Vessel is ideal for long range cruising, for a family of 6. 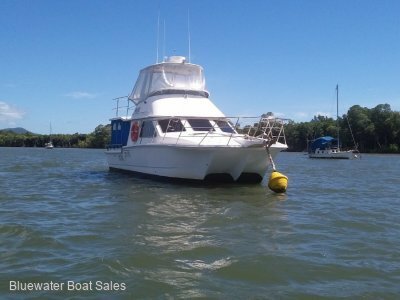 With 2 large double cabins, 2 bathrooms and fresh water flush toilets. huge lounge / Dining table converts to double and a cabin with bed for the kids or use as the office. ( Has desk top, space for the laptop, printer etc. Fitted with Trac Sat Satellite TV. Large LG. Smart TV, a full array of Raymarine electronics, 2 x 14 inch displays C-140's, auto pilot, handheld remote controls, VHF, stereo, chain counter for achor winch. Remote camera's to engine rooms, 500Kg Davco Deck crane to lift the 4.2m Tender, 30 hp outboard, a second smaller poly tender also with Honda outboard. A luxurious interior fitout, huge kitchen with stone bench tops, stunning N. Z. Mahogany timber dining table and trims throughout the vessel. 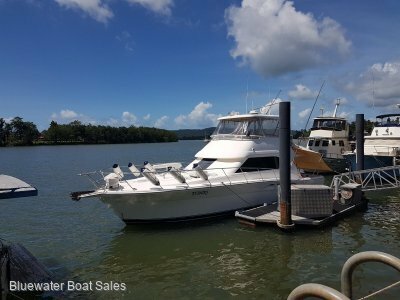 Gas BBQ, sink, fridge, freezer units all on aft deck as well as 240 Ltr fridge /freezer, 4 burner cooktop, and microwave oven in the kitchen. The interior fitout / kitchen is something you would expect from a luxury apartment. She cruises at 8kn using less than 1 Litre per Nautical mile, (2000 NM range) and can sprint up tp 18Knts, wide open throttle. 8 Kw diesel genset, 3000 watt inverter, 1000watts of solar panels@ 24V, 60 Ltr/hr 24 v desalinator, no need to run generator to make water. 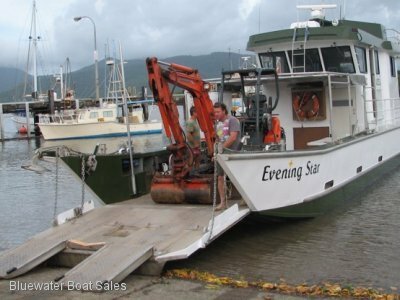 If you are looking for a cruiser to take that dream trip, that has everthing, super economical to run, with an open airy feel, this is well worth an inspection. 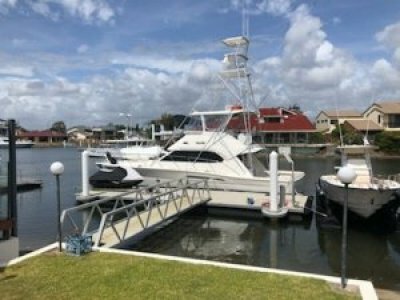 This vessel is a credit to its owner and builder, the finish is one of the best that you will see, and has everything you could want in a cruiser.